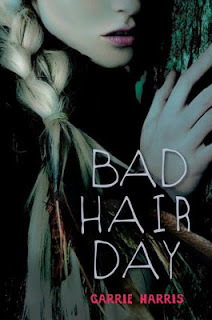 Good Choice Reading: Bad Hair Day Blog Tour!! Bad Hair Day Blog Tour!! 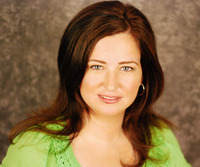 We are so excited to be a part of the Bad Hair Day Blog Tour and share with you an amazing awesome guest post from author, Carrie Harris! At times, I’ve suspected I might be broken. YA is full of these gorgeous, unattainable boys who actually turn out to be fairly nice at the core and rather attainable. They’re the ones who are popular, or who would be if they could actually be bothered to care about popularity. And then my books are full of boys who might be popular on accident—the quarterback of a team so bad the audience never shows, the gamer geek who gets duct taped to toilets and spends his weekends roleplaying, the skater boy who’d rather climb streetlights than actually talk to a girl, the immortal who hasn’t quite got the hang of this human emotion thing, even after watching that instructional video. (Those last two, BTW, are from my next book. Please don’t hate me for taunting you with them; I’m trying to make a point!) I’m currently writing a book about a beanpole guy with debilitating shyness. And a magic pickle, so don’t feel sorry for him. My point is that I like me some geek boys. I think part of the fun of the geek boy is that I’m a root-for-the-underdog type. I inevitably cheer for whichever team is losing, and I hate it when games are runaways. I want them to be close and well fought and bite your nails until the last minute. I want to be surprised and to see people pull something unexpected from way down deep, something you didn’t even know they had. Heck, in most cases, I think it’s something they didn’t even know they had! And there’s no denying the fact that geek boys are adorable, and they’ll call when they say they’re going to, and sometimes they’ll even fix your computer if you ask nicely enough, and they don’t do that thing where they say they like you and then forget you exist. They’re funny and self-deprecating and chivalrous, and they’ve played so many video games that they’re pretty much prepared for any monster incursion that might come about, so you’re pretty safe with them unless the incursion is the pack of popular boys trying to stuff people into lockers in which case at least you can content yourselves with the knowledge that they’ll be the first to go when the zombies come. But the thing that really gets me about geek boys is that to me, they feel REAL. Those perfect, unattainable boys seem like mirages to me—every time I got close enough to one in real life, it turned out that he was a bit of a tool. But the geek boys, in all their awkward glory? I’ve met them, and gamed in their basements, and found out that they were surprisingly good kissers, and sometimes regrettably left them for someone cooler and later on realized what an idiot I was. Why shouldn’t they be the heroes in our books? Of course they should! And I’m not just saying that because I want to drool over them. But honestly? There will be drool. Not like, gross drool. SUBTLE DROOL. Enjoy a good zombie read and I'm loving the cover of Bad Hair Day. Must check out this book. HAHA! Subtle drool! Great post! This sounds like an awesome zombie book.